Facebook’s Chat Heads feature, which was rolled out to Android and iOS some time ago, has become a staple part of the experience of using Messenger on mobile. Sure, it’s much more integrated on Google’s platform due to its open-source nature of Android, but nonetheless, Chat Heads is regarded as a seamless addition to the IM app in general. 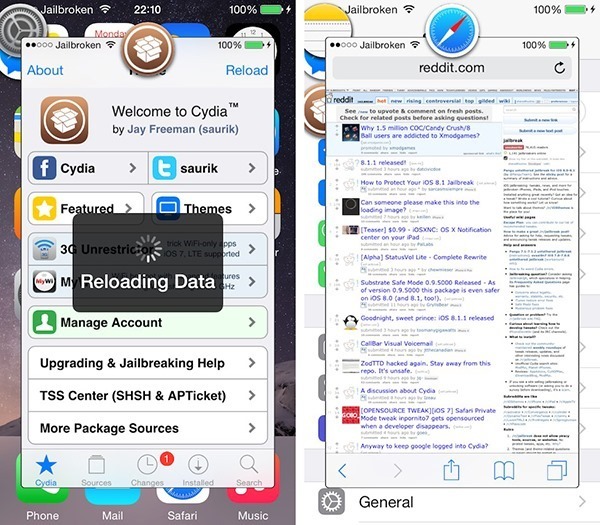 Since its arrival, many developers have sought to offer something similar for other apps, and one jailbreak dev has taken the idea and manipulated it into an all-new multitasking system for iPhone and iPad. It’s easily one of the most intuitive and novel tweaks we’ve seen during these past few months, adding a new dimension to multitasking on iOS, and if you’re still dwelling on that fence, this tweak may well sway you into the world of jailbreaking at last. 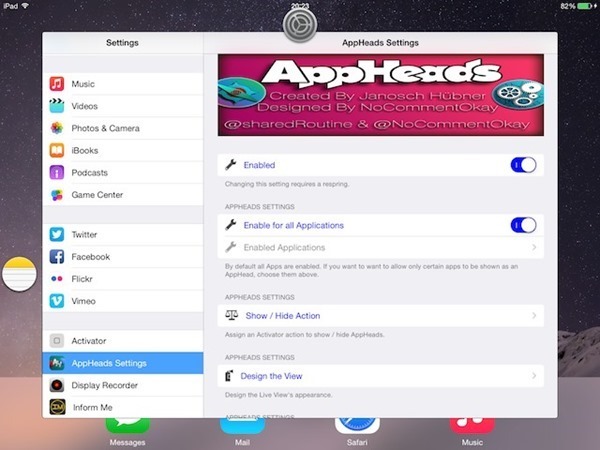 Instead of having your friends’ faces popping up as Chat Heads, AppHeads allows you to manage apps using essentially the same thought process. You can move the floating app bubbles around as you please, and if you wish to hide them all in one go, you can assign an Activator gesture for this very purpose. The best part of AppHeads, however, is found in the app previews, which pop up and command a sizeable chunk of the display without completely taking over. The previews are fully interactive, so you can send tweets, tick off tasks in your to-do apps and such, but since the view is only three-quarters the size of the display, you can easily tap on another AppHead and carry on with a different task. 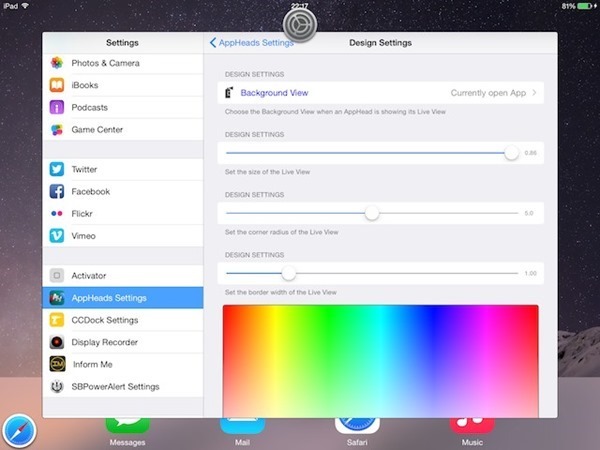 The tweak can be set to apply to all apps or those you chose from within the Settings, and quite honestly, is a very, very good tweak that we cannot get enough of here. It’s compatible with iOS 7 through iOS 8.1, and should play nicely with most other tweaks, and for $4.99 over at the BigBoss repo, it is worth every cent. 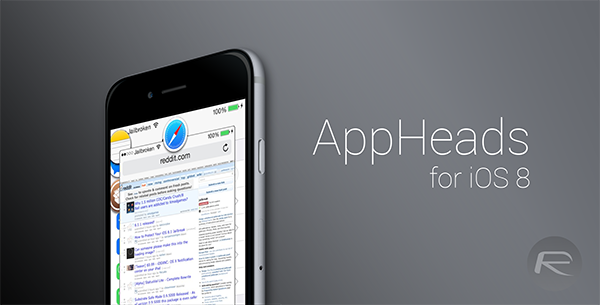 If you like Chat Heads, you’ll love AppHeads, so give it a whirl, and as always, be sure to leave your comments below.